Listed below are all photographed locations in Henley beginning with the letters G to H. To view photos, facts, businesses or old photos/postcards for a particular location simply click on the relevant link. Or, choose a different filter from the menu on the left. Gainsborough Crescent is one of a collection of roads on the edge of Henley that bear the Gainsborough name. Gravett Close is a small residential road situated towards to edge of Henley-on-Thames. 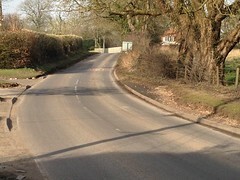 Greys Hill is a short narrow road that runs parallel to Greys Road in Henley. It is where you will find Trinity Church. Hambleden is an extremely beautiful village located a few miles away from Henley-on-Thames.